Hello. I’m not here right now, but thanks to miraculous 21th century technology I am able to pen (or type) these words in the past and forward them to you through time so that you can magically read them while I am in another state undertaking the dangerous quest of the Dragonhuahua. 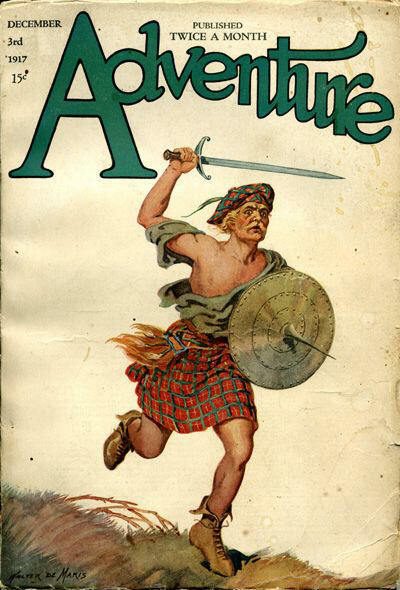 Hopefully I will survive to pen another blog post regarding said quest, but in the meantime here for your amusement is a column about the longest continually running pulp magazine (though it shed it’s pulp roots in 1953), ADVENTURE. 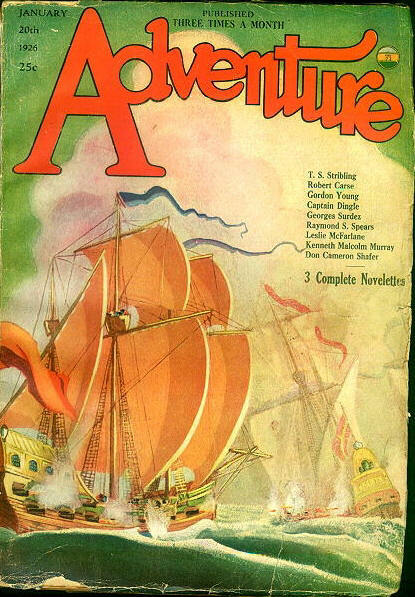 I’d like to read and collect this magazine, but the prospect is somewhat daunting. 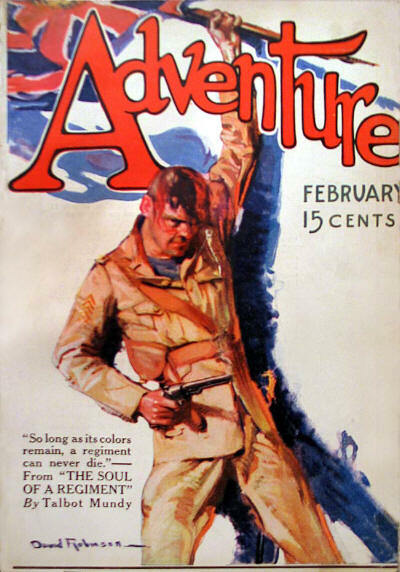 It lasted from 1910 to 1971. 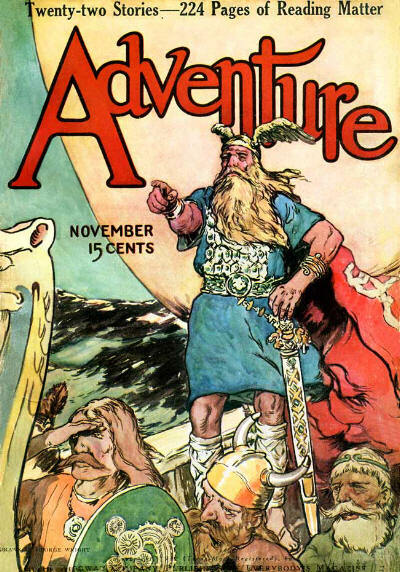 In its heyday (most of the decade of the ‘20s) it was published two to three times a month, producing an amazing 881 issues during its run. 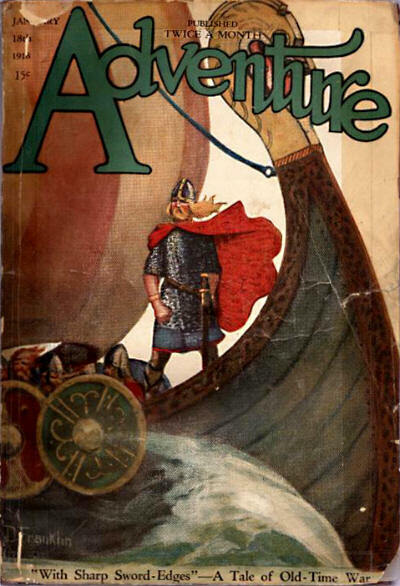 Among its noted writers were S. Rider Haggard, Rafael Sabatini, Damon Runyon, William Hope Hodgson, Harold Lamb, and one of my all-time favorites, Talbot Mundy. 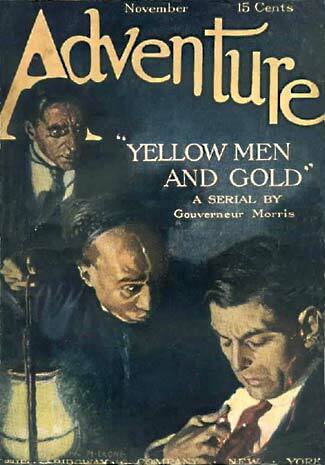 It specialized in stories featuring danger and thrills, mostly without a supernatural bent. 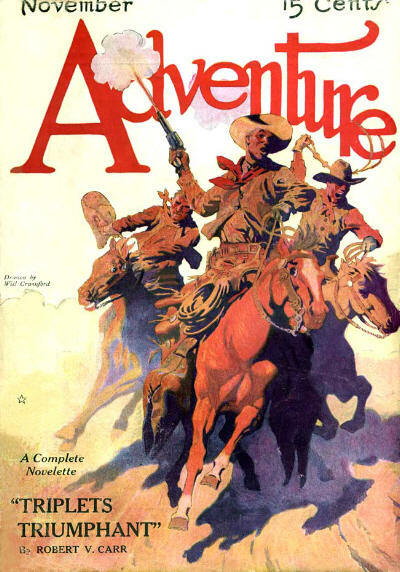 It dropped its pulp format in 1953, morphing into a slick-paper men’s adventure magazine that no longer focused on fiction (and was called “rather mundane” by pulp collector and scholar Robert Weinberg.). 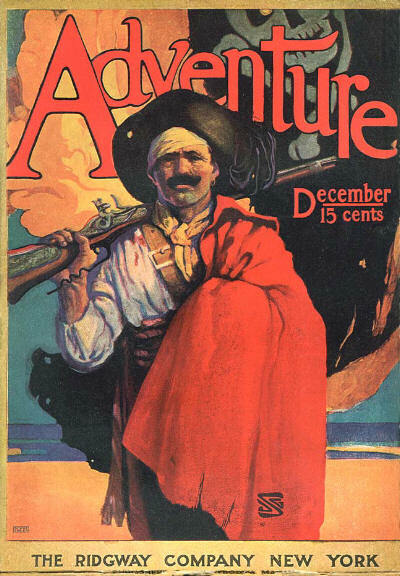 It’s covers focused on three main themes: portraits of dangerous-looking men, dangerous animals, and exotic sailing ships. 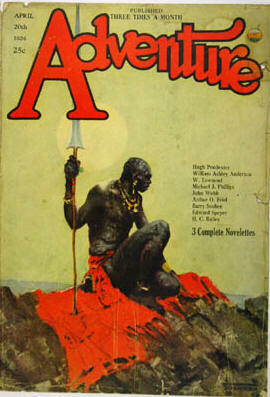 Though certainly not as crazed as the SPIDER or as sensual as WEIRD TALES or as exploitive as any of the various SPICEYS, ADVENTURE covers have high technical merit and specialize in depiction of the exotic. 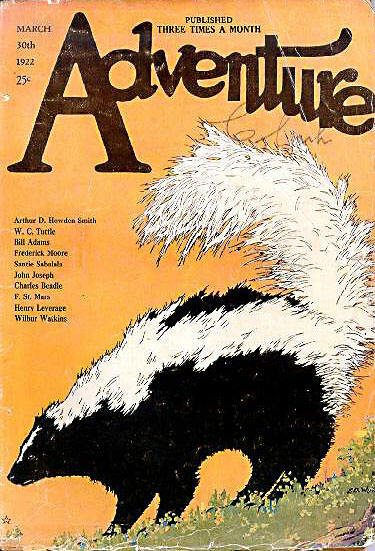 Here are some from the zine’s early days as well as its golden age.